﻿ Guest Editorial: All aboard! Radiologists tend to be more than just medical doctors. I know from personal experience that many of you proudly consider yourselves IT ‘geeks’ who are both early adopters and true innovators when it comes to medical technology. Indeed, in recent years, you and your profession have led the field of medicine in developing such advances as the DICOM format, teleradiology, PACS, and enterprise imaging exchanges. Certainly, these are no small feats under any circumstances. In this short time, a lot of technological change has also taken place here at Applied Radiology and Anderson Publishing, where I am now in my 14th year, having recently been appointed to Group Publisher. Many of you are very much aware of how we have embraced the tremendous transformation in publishing, being ushered in by the digital era, to extend our brands—both Applied Radiology, on both traditional and electronic platforms, and Applied Radiation Oncology, on an electronic platform only . You know that we’ve launched a half dozen websites for Applied Radiology alone, each one leveraging once-disruptive technologies that today we have come to take mostly for granted—technologies like Hypertext Markup Language (HTML), and the formidable PortableDocument Format (PDF). And technologies like Extensible Markup Language (XML), Content Management Systems (CMS), and SearchEngine Optimization (SEO). You also know that we now offer Digital Magazine or e-Pub versions of our journal, which allow you to virtually browse and flip through the pages of Applied Radiology and Applied Radiation Oncology right there on your computer or tablet. And with the continued growth of mobile technology—particularly the use of smartphones, whose use by physicians is now estimated at64 percent1—we recently launched our own mobile app, “Applied Radiology,” which you can download today from Apple’s App Store. Indeed, with the continued adoption of digital publishing and integration of content such as DICOM data sets, where readers can simply click to manipulate the dataset from their desktops, smartphones or tablets, and/or be linked to related content on another site, I believe that future is already here. Yet, despite all this technology and the ease of use digital media are designed to deliver, publishing has become considerably more complicated. Who knew when developing these apps, for example, that one has to consider the various mobile platforms? It’s true: One app isnot enough; today’s publishers (if they want to reach everyone) must develop one app for iPhone users and another app for Android users. So I’d like to put the questions to you, our readers: What do you think? Are you willing to embrace the digital revolution in all its electronic glory, or do you still prefer to hold a print copy of Applied Radiology in your hands? I invite you to share your thoughts by taking our quick survey here. Change is inevitable. But we also understand it can be challenging, especially for authors, some of whom believe their work may be perceived as “less academic” if it is published only online electronically and not in print. That is a valid concern that may be due, at least in part,to the possibility that the equivalence of digital and hardcopy articles may not yet be clearly established in the minds of promotion and tenure committees. Many publishers of both trade and society journals have tried to address this concern; speaking for myself, I hope that as digital publication continues to gain acceptance, authors submitting to this journal will feel less compelled to see their work in print. Let me close by emphasizing that we remain strongly committed to publishing Applied Radiology in multiple formats, including print, until such time when a print edition is clearly no longer warranted. Don’t miss any issue of Applied Radiology! 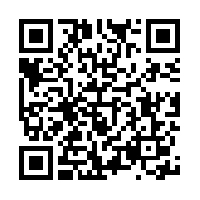 Use this QR code to download our mobile app today and get each issued delivered to your smartphone or tablet each month with increasing interactive content. Vecchionne A. Smartphone use surges among docs. Med Marketing Media. Available at: http://www.mmm-online.com/smartphone-use-surges-among-docs/article/135960/. Renear AH, Palmer CL. Strategic reading, ontologies, and on the future of scientific publishing. Science. 2009;325:828-832. Guest Editorial: All aboard! . Appl Radiol. Kieran N. Anderson is the Group Publisher of Applied Radiology and Applied Radiation Oncology.